A state of emergency has been declared by the Canadian province of British Columbia (BC) as it battles over 180 wildfires. The federal government says it is monitoring the situation closely and is ready to provide assistance upon request. CBC News reported that an estimated 7,000 people had been forced from their homes. The fires threaten several communities in BC's central interior region. It is the first state of emergency declared by the province in 14 years. 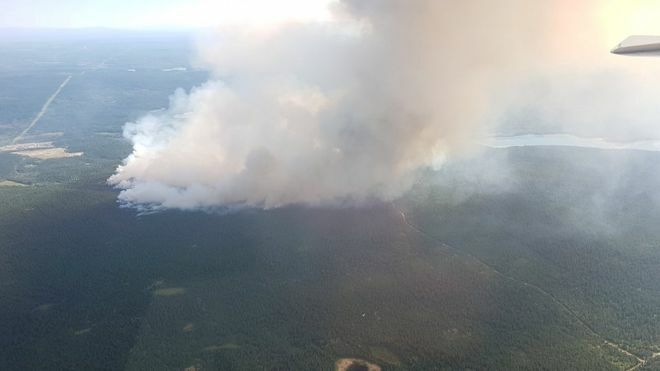 The BC Wildfire Service said that lightning, strong winds and high heat were all contributing factors in the spread of the wildfires burning across hundreds of kilometres.